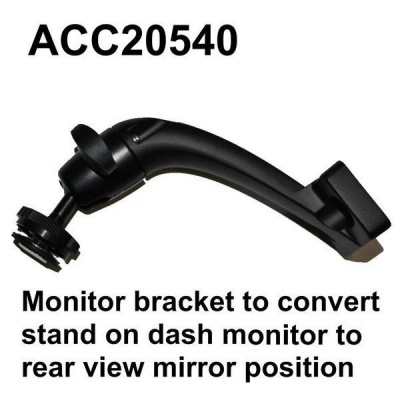 This bracket is designed to fit our stand on dash LCD monitors to allow them to be used in the rear view mirror position. It is a sturdy metal bracket which has adjustments up and down and from side to side. It is ideal for use in vehicles where an interior mirror is not fitted. Fixing bolts are not included with the bracket as these will depend on what you have available to screw the bracket onto.